We pride ourselves on our customer intimate approach to servicing our customers. Oneir Solutions Inc partners with Technical Support Advisors to form a team to ensure our customers’ technical and software needs are completely satisfied. Oneir Solutions provides a template which contains the Linux operating system, the Oneir Solutions software, configuring printer access within the Oneir Solutions server, set up of terminal access and scripting for data transfer to the truck “servers”. If an approved UPS device is installed, Oneir Solutions will provide the necessary scripting for a graceful shutdown of the server in the event of a power loss. And by the way, you select the server operating system. Oneir simply requires a VMware partition where the template will be set up. Our stream lined installation processes make it easy for you to get your customers up and running with Oneir Solutions software. You, as the companies Technical Support Advisor, in turn provide the recommended hardware, security infrastructure, networking, security backup facility and disaster recovery, if and when needed. And when you advise your customers to purchase Oneir Solutions software for their business, we have a system in place to reward that recommendation. Let’s say the owners of a small to medium-sized business have taken the leap. 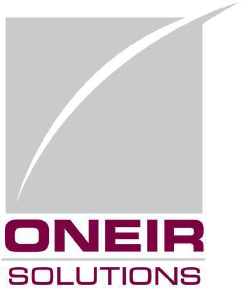 They’ve bought that enterprise resource planning (ERP) software package from Oneir. They know how it can transform their company into a more competitive enterprise. A number of our valued Oneir Solutions customers still do NOT have adequate security for their Oneir Solutions server. There have been some recent examples that have come to the attention of our Customer Support team during the past week. For several months, many of our Oneir Solutions customers, including ourselves, who have updated to Windows 10 have been experiencing random freezing on their data entry screens. The issue arose from an update by Microsoft to one of their Windows 10 releases that affected the operation of Eric’s TelNet98. On Saturday February 13th, 2016 at 7:50 AM, Oneir Solutions Emergency Support line received a call. On the other end of the line was Craig Chadwick, President of Chadwick Electric Limited. They had a devastating fire the night before.